The person behind the whole undertaking is Zuzanna Stolińska, Senior Ruby on Rails Developer at Netguru. Not only does she stand out as a great backend developer, but she’s also a proactive team member who engages in after-work initiatives. I always enjoyed participating in knowledge-sharing events like meetups, workshops and conferences, as they inspire you to learn new things and meet interesting people. They also tend to get you out of the routine and broaden your work-related horizons, Zuzanna admits. She’s participated in numerous tech events and with time, she started noticing that each conference she attended shared content that sounded somehow familiar. Netguru always followed the latest trends, so every other event I went to was about certain topics that were already presented in one of our webinars. She added. 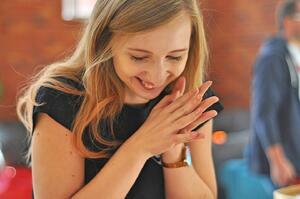 That was the first time Zuzanna thought that Netguru’s employees should be giving these talks. She got involved in internal meetings, taking the lead in organising Rails developers meetings and juniors meetings, which were only two of over a dozen different types of internal meetings at Netguru. The level of commitment of the people involved in those meetings was inspiring. We all wanted to encourage more people to share their knowledge in a fun and easy way, she said. This was the turning point when we decided to share our knowledge on a bigger scale rather than in small groups. Zuzanna started working on the idea for an internal conference and engaged the team to prepare the event. How did it go? Preparation of the conference started at the beginning of 2018. Zuzanna became the project owner and manager at the same time, with support from the tech and employer branding teams. Netguru Tech Talks was a big challenge for the organisers. Firstly, it wasn’t easy to encourage our team members to sign up as speakers. Netguru employees are so preoccupied with daily routines and tasks that they don’t realize how valuable their knowledge is for other workmates. And it’s not only about their technical expertise, but also soft skills and leadership experience, Joanna Antkowiak, Employer Branding Specialist at Netguru summarized. Another challenge was to synchronize the calendars of people engaged in organizing the event. Netguru Tech Talks is a side project. Developers who helped in preparation were working on commercial projects at the same time, and the Employer Branding team was involved in other activities as well. Finding one slot in the calendar that would be suitable for everyone wasn’t easy. Finally, the organizers were a little bit worried about the attendance during the event. As the first edition of NTT was a day after a work event that finished late at night, we thought many people wouldn’t show up. We knew that date we chose was risky. Fortunately, the turnout was great. People didn’t let us down and most of the attendees made it on time to Netguru Headquarters, Joanna adds. All the efforts paid off and our conference got very positive reactions. Our speakers and workshop leaders set really high standards at this event. We received great feedback from participants. 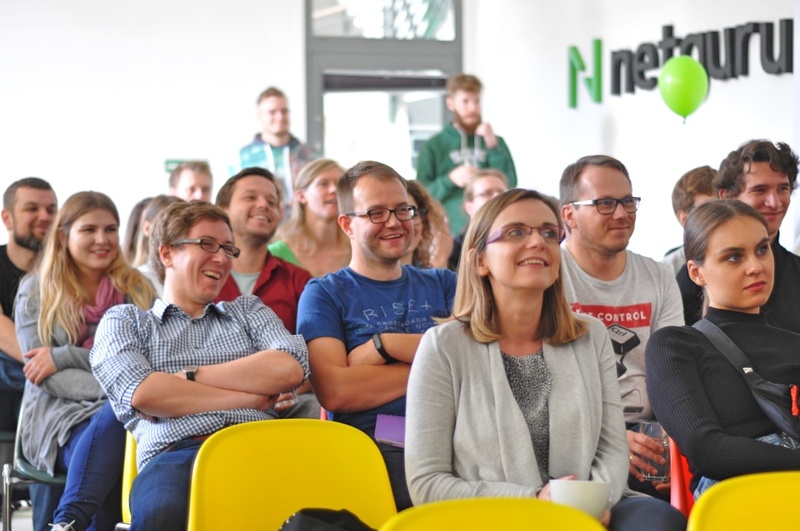 More than 80 participants met in the Netguru HQ on one Saturday morning to listen to the opening keynote by Mateusz Czajka, Head of Technology & Product Design at Netguru, who highlighted the challenges that we face as a dynamically growing company. He was followed by Krzysztof Przybylski, Service Delivery Manager, who brought up examples from our everyday work to explain the meaning of software craftsmanship. Then next presentations fed us great insights about Machine Learning, end-to-end testing, Node.js, creating open source libraries, but also on less technical topics, such as leadership, impostor syndrome, and being a responsible developer. All of the speakers were spontaneously referring to other presentations, bringing all the talks together into one consistent composition. The event was also a great idea for our experts to share insights from personal projects. Bartek Białek, Netguru’s Senior Product Design Manager with 10+ years of experience in Product Design, presented his journey of building a number game, Cotrio, which was globally featured by Apple and became a game of the day on AppStore. I think my favourite one was the presentation by Bartek Białek. It was really interesting and I was very impressed with Bartek's methodology of work during development and promotion of his game - Wojtek Bućko, Ruby on Rails Developer at Netguru. Apart from presentations, we also organized four intense workshops to enable participants to obtain hard skills and test them in practice. It was a great opportunity to get some experience in a different field than people are qualified in. For example, our developers could learn the basics of Machine Learning, or discover details about DevOps. I loved the conference! Great chance to internally exchange knowledge and have more cross-department sharing. It’s also a good chance for speakers to practice public speaking skills and prepare themselves for their next conferences, said Aleksandra Pyta, Project Manager at Netguru, who conducted a workshop for developers about Scrum. The first edition of Netguru Tech Talks was a definite success, and we won’t stop there. Not only do we want to promote knowledge-sharing across different departments of our company, but also to inspire our people to go out there and present their talks to bigger audiences. Many of them are already doing that! As we grow as a company, Netguru Tech Talks will naturally grow with us - setting up higher standards and more challenges for its organisers and speakers. We’ll work towards making it an open conference one day, so we can promote our values, inspire others, and share our knowledge with bigger audiences. I can’t wait to start working on that!, Zuzanna summarizes.